Honestly, I think my least favorite part of the three was the architecture section but there was one really interesting point that came up during it. Apparently, Studio Gang did not name Aqua, it was the marketing department after they had finished the design. 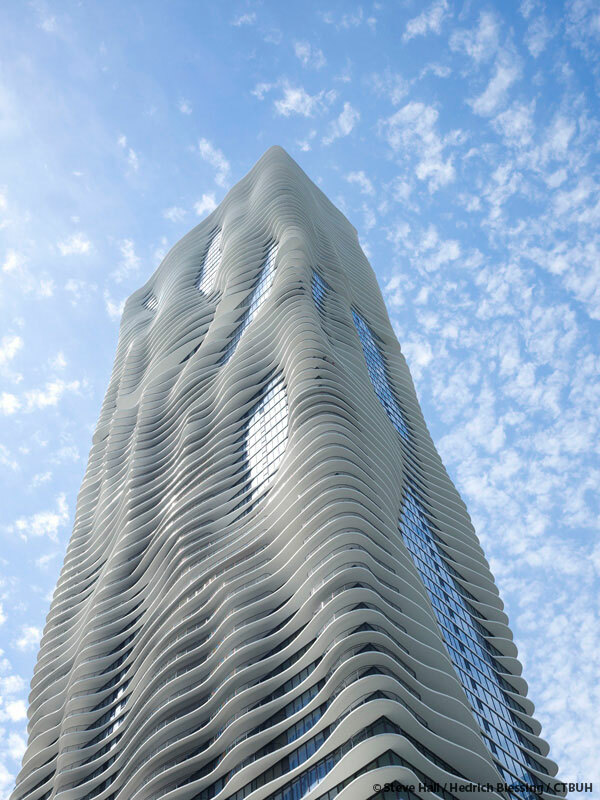 Their concept for the rippling facade was erosion and topography. Just kinda surprised me considering how well the name works for the building. Anyway the really interesting part was hearing about how they made the building stand and how it was constructed. The structural engineering was nothing too special but it was cool hearing how it changed throughout the design process. The way they built it was really cool. They used a special concrete formwork that just hung onto the columns instead of having to be held up by temporary columns that rested on the floor below. This allowed them to build it faster and it was really cool watching these massive beds come flying out and be moved up a level to allow for the next floor to be poured. I would highly recommend any other lectures and if anyone is still in school when they have them many of the people in the group stayed after to talk and give advice on projects.